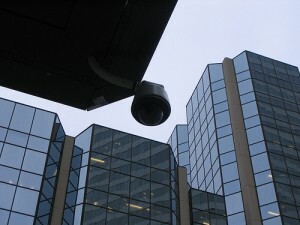 Security cameras have always been an important part of business no matter how you look at it. Ever since they were invented, companies have been using them to keep an eye on their property whether it is for the outside or the interior. While security guards and other measures are helpful, a digital eye in the sky is always preferable. If you have not made the decision to use security cameras to defend your business, then we strongly recommend that you come to that conclusion and quickly. You have built your business from the ground up, and you know that it needs to be protected. While you might be intent on doing everything yourself, you have to consider that you cannot be everywhere at once, and you cannot always trust the employees that you have hired. That being the case, taking advantage of affordable cctv camera installation services Palm Beach County Florida is going to be in your best interest. Palm Beach CCTV camera installation services, otherwise known as ‘closed circuit television’ has been around for a number of years and can be used for many different applications. For example, it has often been used to broadcast television shows inside a facility that could not otherwise receive reception. 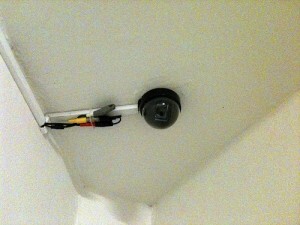 The most common use for CCTV however is internal cameras. Each camera can report to a monitor which will be mounted at a security station within the facility. This gives you the ability to see everything without even being present! Cameras have improved significantly over the years, ultimately becoming far more than what they were in the beginning. That might sound like a bit of a redundant statement but let’s face it, technology really has come a long way. Int he beginning, cameras were lucky to capture a few frames per second, presenting a stop motion show for anyone interested in viewing it later. It did the job of course, but it did not manage to capture the minute details. In other words, using it to identify the culprit was one thing, but using it to identify what the culprit did in your facility? That was entirely different. Who does remember those horrifying news reports from the 90’s? While cameras have become far more sophisticated than they once were there are still certain limitations which force them to work in conjunction with other security devices. A great example would be hard drive space. While it might be horribly tempting to leave a camera running 24/7, you are bound to run out of storage space eventually, thereby compromising your entire system. One of the oldest methods is to simply purchase large amounts of tape storage, but if you want to save time and money, you might consider motion detectors. Naturally there are some places within your facility that you will want to keep under surveillance 24/7, and those spots will indeed require a constant camera connection. If, however, you have certain areas that remain typically unused, you can ensure that the camera is only activated when a motion sensor is tripped. This will save both time and money as you will not have to fast forward or watch through endless hours of irrelevant footage to get the information you need. The final technological improvement that we will discuss, is the advent of the IP camera. IP stands for ‘internet protocol’, as you probably know by now, and this indicates that the camera’s feed will be available via the internet. Naturally you might be a bit concerned about this, but you can be rest assured that there are no privacy issues. The camera will be tied to a specific IP address, which you can always mask with a host redirect if you desire. If the ability to do so is not present within the software provided, you can still utilize a domain registrar to create an HTTP redirect, normally for free. Access to the website will not be restricted to the interior of your building. Instead, you will be able to view the cameras from any device at any location. The beauty of an IP camera is that you could be in a foreign country and still view the footage on your smartphone, laptop, or desktop. One thing to keep in mind when you are doing this however is that the bandwidth can be expensive, especially if the video in question is not compressed. That said, it is sometimes best to view the camera from a landline or wifi connection rather than a 3G or 4G connection. As you can see, you have options, and technology has certainly come a long way since the introduction of the first surveillance cameras. Your first step will be to get a quote from a good security company and have a preliminary inspection performed. When you trust the professionals to set up your system you will have a well designed, very powerful system that will not only keep your interests protected, but also provide you the peace of mind you probably lost when you started your business. Start looking into your options today and create a more secure business for yourself.